Jan 1, 2012. Embutido by my mom. Filipino version (but more complicated!) of meatloaf. 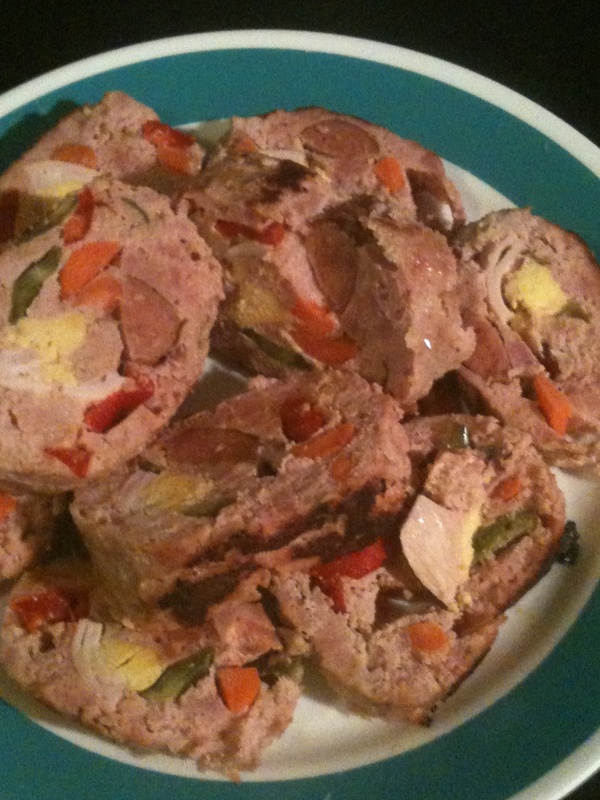 That’s stuffed with kielbasa, egg, red pepper, and probably more.